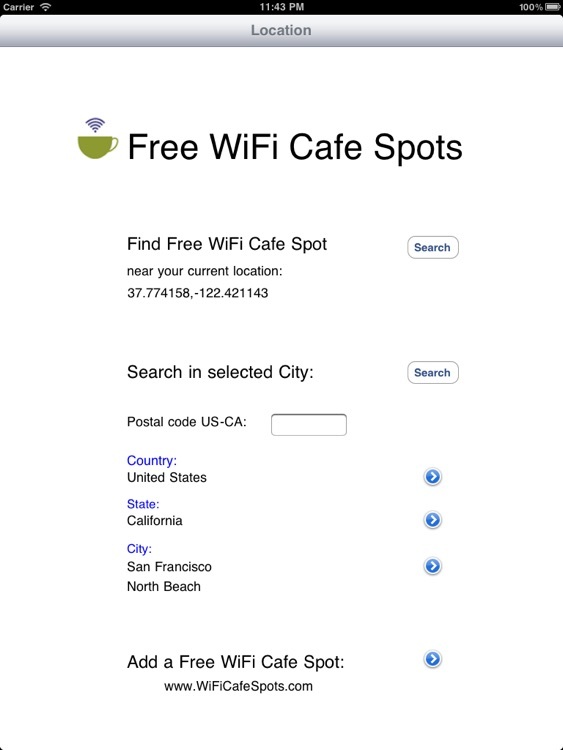 The app Free WiFi Cafe Spots helps you find a Cafe or Restaurant with a free WiFi hotspot. 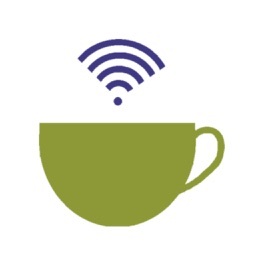 It lists more than 125,000 Cafes and Restaurants with free WiFi in 140 countries around the World. 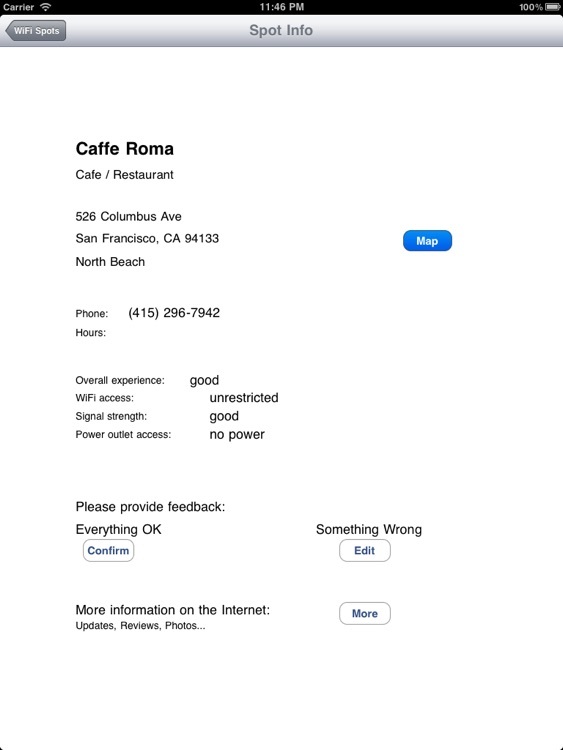 The locations of these Cafes and Restaurants are stored on your iPad, so that you can find them even without internet access. 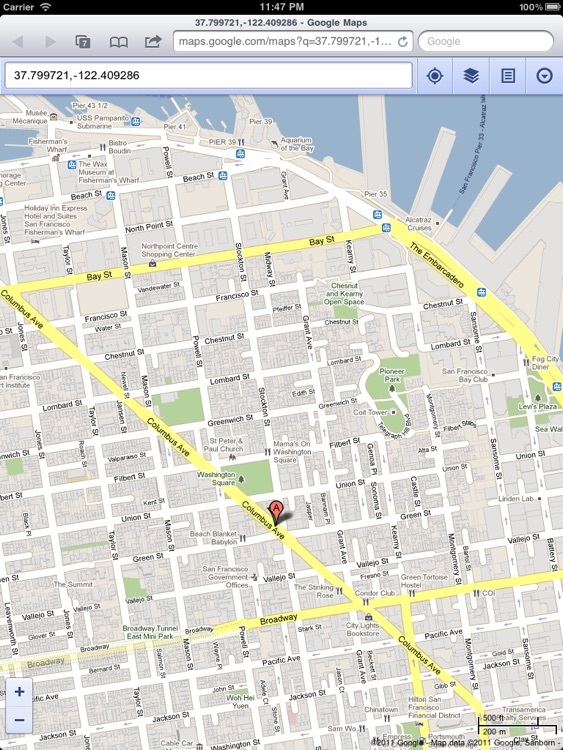 The app provides also an overview map with offline cache, allowing you to view the map without internet connection. 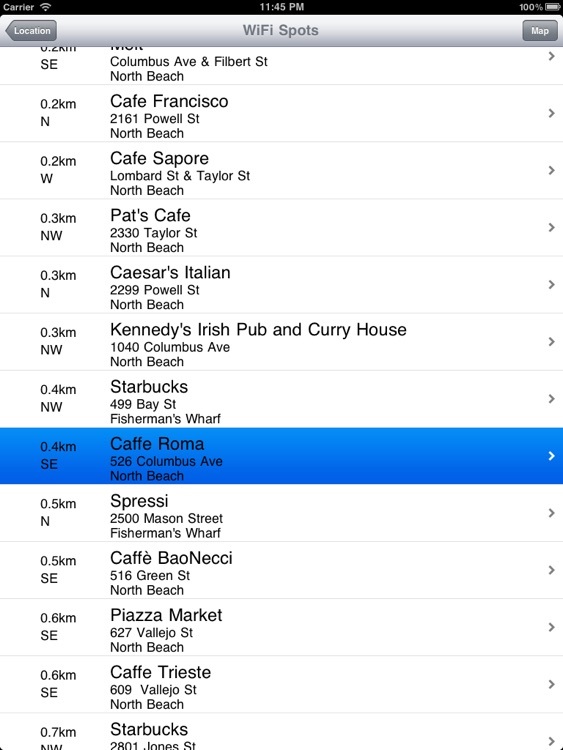 You can list all cafes near your current GPS location or select a city / neighborhood by name or ZIP code.